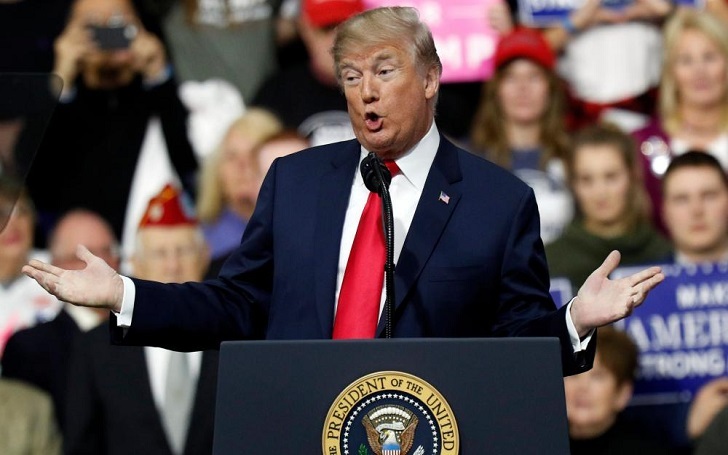 During a rally meant to support a struggling GOP candidate for a US House seat, President Donald Trump called for enacting the death penalty or life in prison for their crimes saying that they kill people and destroy families. At the campaign event held on Saturday in Pennsylvania for congressional candidate Rick Saccone, Trump said that he got the idea from the China and Singapore's leaders. He said the U.S. criminal justice system is too soft on drugs. You kill 5,000 people with drugs because you’re smuggling them in and you are making a lot of money and people are dying. And they don’t even put you in jail. That’s why we have a problem, folks. I don’t think we should play games. The U.S. president further revealed that he recently asked the Singapore president if his country has a drug problem. Trump said, at the time, he was not sure if the nation would accept such a harsh penalty but he said drug dealers destroy families. This is not the first time but a couple of weeks ago, the president suggested "very strong" penalties solve the nation's growing problem with opioid addiction. Some countries have a very, very tough penalty — the ultimate penalty. And, by the way, they have much less of a drug problem than we do. Last year in May, Trump congratulated the Filipino President, Rodrigo Duterte, for a "great job" in his restrict on drugs. Rodrigo boasted about personally shooting and killing at least three crime suspects. The United Nations and Human rights group have condemned the Filipino president's vigilante-style campaign that left thousands of suspected drug dealers and users dead. On Saturday, Trump acknowledged that his idea might have dissenters.